MEGA thanks to Rich Clabaugh, creator/artist/writer of the Graveyard Gang! 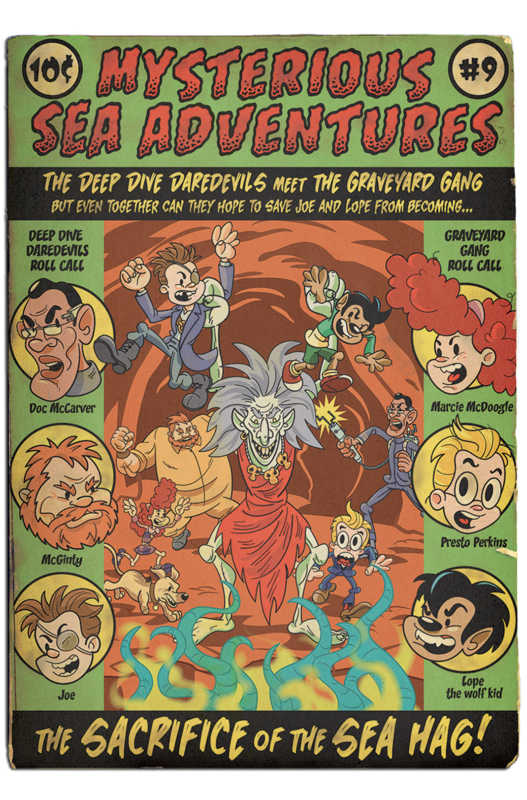 As huge fans of the Graveyard Gang, seeing this week’s crossover cover with the Deep Dive Daredevils for the first time was a THRILL that we here at the ThreeOneFive Ranch still haven’t properly gotten over. Rich’s interpretations of Doc, Joe, Cup, and McGinty are a joy, and he’s infused this cover image with so much life that I can’t help imagining “SACRIFICE of the SEA HAG” play out before my eyes…if only we could turn the page! I mean, we’d been talking to Rich about doing something like for a while – some sort of mash-up of the DDD and GG characters – but, when Rich headed off to the drawing board and returned with this cover to MYSTERIOUS SEA ADVENTURES #9, all of our expectations were blown out of the water! But, then again, we definitely shouldn’t have been surprised because anyone who reads the Graveyard Gang knows that Rich delivers the goods week-after-week – eye popping artwork, layered storytelling, and inventive tales chock-full of heart. You can’t help but smile at the mis-adventures of Sneezer, Lope, Marcie, Buster, and Presto as they bicker and bumble their way through one spooky mystery after another in their aptly named hometown, Ghostport, Massachusetts. However, the real treat of the GG is that while you’re chuckling at the Gang’s hijinks, Rich is setting you up for moments that are either genuinely creepy, or in the case of my favorite story, “The Return of the Atalanta”, achingly poignant. Seriously, if you aren’t yet reading the Graveyard Gang, do yourself a favor and rectify that situation NOW! …There, see, aren’t you happy you listened? 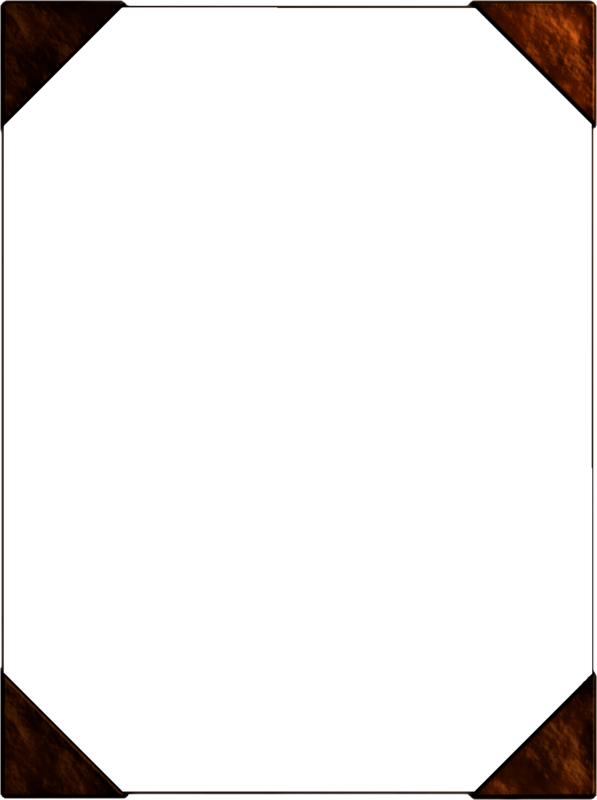 In other news, MAKE SURE you find your way back here NEXT WEEK for the UNBELIEVABLE kick-off of Pitch Black Day Chapter 2! So, yeah, Dracula’s the villain, but if you think you’ve got the story all figured out then you’ve got another thing coming…Chapter 2 launches the STAKES into the STRATOSPHERE (figuratively and literally). RSS, Like, or Follow to avoid missing out on the CRAZINESS to come! Welp, time wrap this baby up…Thanks again to Rich Clabaugh for his wonderful work, and continued support of the Deep Dive Daredevils! And, yeah, read the Sunday Bonus Lunch for more good times. How exactly am I supposed to get any real work done? Oh and the sea hag seems like a cool villain and all but, as she does not have a mullet, she will never be as awesome as Dracula. Please make this story happen! Real work is WAY overrated. Enjoy the Graveyard Gang, it obviously has my highest possible endorsement! Nice! How funny would it be if it turned out this was actually the next page in Dracula’s biography? One can only imagine how incredulous Doc would be at that point. O.K., new plan; capture Dracula, drag him to the surface, and stake him out in the middle of the Sahara. *That* should fix his little red wagon! Well, Doc did get top billing, so how mad could he be? I just want to know: where did Dracula get his art supplies from, ground up sea cucumbers for paper, and ink from rare Psychedelic Squid? - There is a Nosferatu Squid; I’ll bet they get along famously. 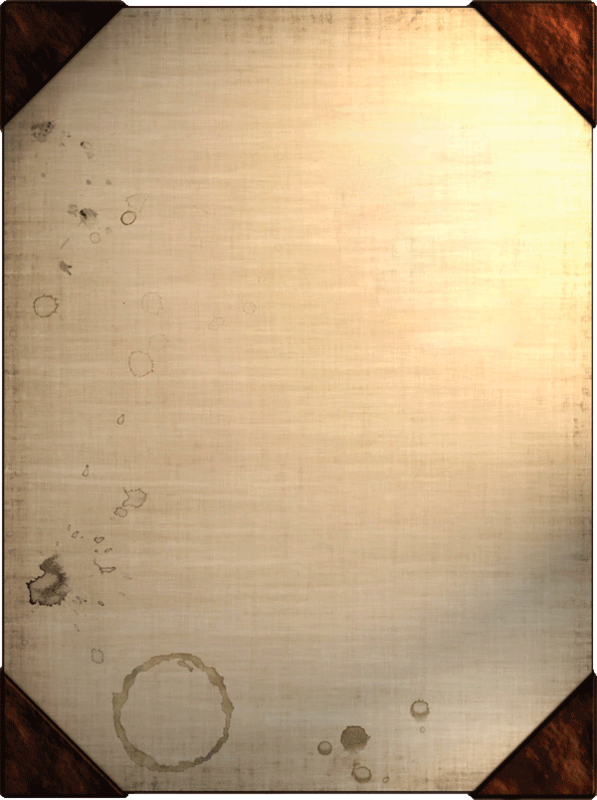 I personally like how McGuinty looks. I know the new page is about to go up and I commented prior but one thought has been nagging me…does anyone else have the urge to say “MCGINTY SMASH!” thanks to his posture on this page?